OSAGE CITY—The Osage City High School band fundraiser got funky Saturday night. The evening included performances from the OCHS Jazz Band, Topeka-based funk band Beans and Cornbread, and a guest performance from Osage City Schools Superintendent William Orth. 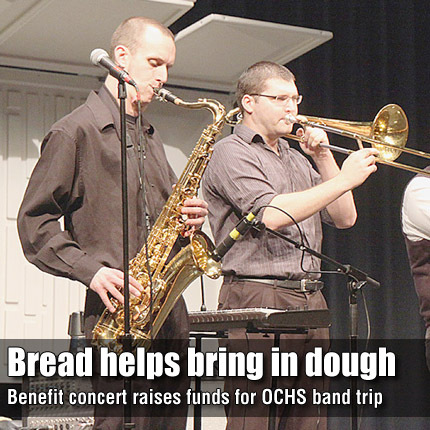 The night of music was a benefit event to help raise money to send the OCHS Band to Chicago. The performers also appreciated the non-monetary donations from the event. “The night ended with a pretty huge standing ovation, which always feels nice for the performers on stage,” Graversen said.